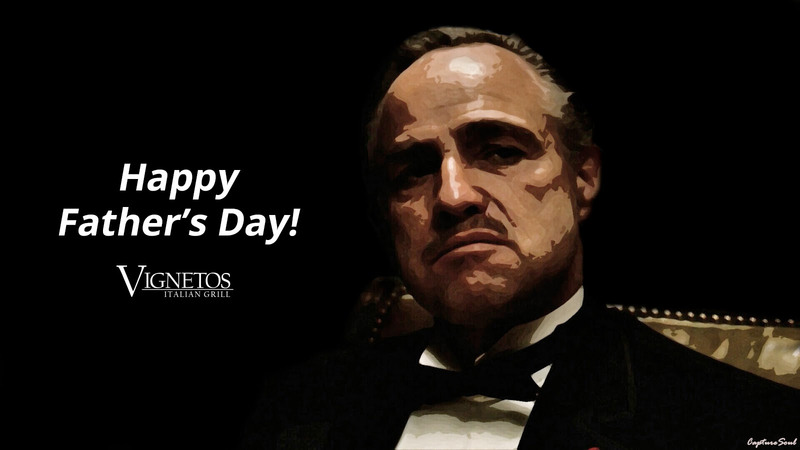 Bring Dad to Vignetos on Father’s Day, Sunday, June 15th and celebrate with a delicious Italian meal! Make sure to check our specials which include mouth watering steak specials right off the grill. We will be open during usual Sunday hours. We look forward to serving you. Sign up to our newsletter and be the one to first to know about our specials and future events. We are conveniently in two different locations. Our menu is slightly different for each location. Please make sure to call Weston location for your questions regarding to menu items if you are planning a visit or to place a take out order. © 2019 Vignetos Italian Grill. Designed by Zevra Design.